Andrew Duncan, Tampa Bay's #1 Realtor and Expert, talks to Arnie Diaz from Waterstone Mortgage about the waiting periods for people who went through a short sale, foreclosure or bankruptcy on The Duncan Duo Real Estate Show on 970 WFLA. Zombie houses is a slang for vacant foreclosure homes that has been abandoned for a long time. There is still a lot of them out there and banks are slowly getting to them but it's still causing a lot of problems in some neighborhood. It's a sign of what the real estate market in Tampa has been through. These are remnants of the catastrophic real estate market a few years ago. Because of the crash, there is a hidden audience of people who did short sales, that had been foreclosed on but have now recovered. They are now having a hard time getting a new home because of the qualifications in place for lenders now. Arnie says that it depends whether you are going with FHA or a Conventional there is a waiting period wherein the FHA is more lenient on a short sale or foreclosure - 2 years on a short sale, 2 years for bankruptcy and 3 years on foreclosure. While with a conventional loan, if you go above $271,000, it has a waiting period of 2-4 years for a short sale and 4-7 years on a foreclosure. Andrew talks about part of the obstacle with the waiting period is that it is dictated by the sale date. Some of those foreclosures and short sales took about 2-3 years so in reality by the end of it, some people have already started to recover. They might not be able to catch up with the $100 k past due for example but Andrew believes that the waiting period should start at the point when the home owner got so many months behind not the point where the bank took the property back because it's really hard on people when in reality they have already been recovered for 4 years but looked at as 2. Arnie shares the new guideline for Fannie May when applying for a conventional loan where if you file for bankruptcy and include the house in the bankruptcy yet the foreclosure happened after the bankruptcy, the waiting period goes back to the date when bankruptcy was filed and not on the date of foreclosure. Although there are only a few people who might be going through the same situation but want to buy a home, Andrew recommends to talk to a lawyer and seek advice. Andrew again said that sometimes the timeline doesn't make sense. There might be some people out there who took 3-4 years before foreclosure finally happened or somebody who started missing his payments 6 years ago but have already recovered and now has a high paying job, etc, but are still being penalized and not able to get a loan. Arnie talks about the extenuating circumstances that would give less of a waiting period for people who went through the same thing but some examples are usually death of a primary wage earner, military related type of situation or medical situations. A divorce is not included though. 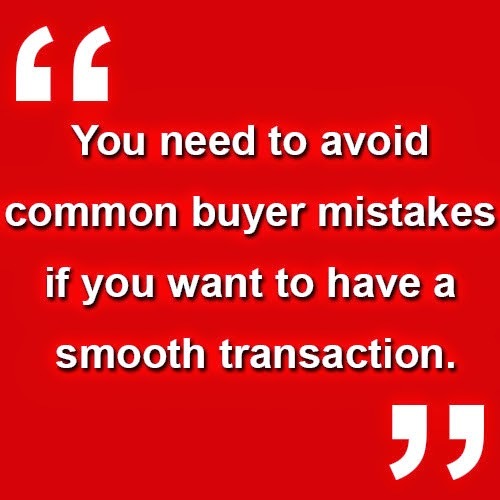 What Are the Most Common Home Buying Mistakes in Tampa? Today, I want to discuss a very important topic for all who are looking to buy a home in the current market. Tampa market activity is incredible right now, and in such a competitive market, you need to avoid common buyer mistakes if you want to have a smooth transaction. The Duncan Duo has helped thousands of buyers, so today I want to share some of the tips we've learned over the years! Have a list of "musts" when home searching: You need to know what you want when looking for a home. Make a list of "must haves" so you can give yourself a realistic chance of finding the home of your dreams. Get pre-qualified before shopping: If you don't know your budget and what you can afford, you'll find yourself missing out on homes you can afford and wasting your time looking at homes you can't. Be realistic about the home inspection process: Often, home buyers go into a home inspection expecting there to be no problems. The truth is, clean home inspection reports do not exist! Too many home buyers cancel inspection reports that only list minor problems; you need to expect to make some repairs after closing. Get educated on the buying process: Work with an agent who has worked with first-time home buyers. We've worked with hundreds, and know the process inside and out. As a first-time buyer, you need to work with someone who can show you the ropes and guide you through the process. Don't fret about appraisals: Don't get wrapped up in the appraisal number. An independent third-party will conduct the appraisal, so there is really nothing you can do about it. Working with an agent who doesn't have much experience in the industry could lead you down the wrong path. Working with a reputable, experienced agent will result in you achieving your buying goals. If you have questions about the process, or if you need real estate assistance of any kind, give us a call or shoot us a quick email. We would love to hear from you! Andrew Duncan, Tampa Bay's #1 Realtor and Real Estate expert talks with Arnie Diaz from Waterstone Mortgage about the Top 5 biggest home buying mistakes. Sometimes the person is new to the area and though they want to buy. There are times it's better to rent to get used to the area. Or if you're selling your home, there are times it's better to wait than rushing to buy the wrong home. hiring someone who's not experienced with the market. A lot of agents right now are new to the business making some crucial mistakes that could cost you. It's best to hire someone with the known brand and reputation. Some people don't do their research of what's going on in the neighborhood and you get in there and find out you don't like it. People get confused about mortgage, not knowing the differences between mortgage products. It's important to talk to your local lender for advice so you'll know your options. If it's your first time to buy a home, remember that buying a fixer upper is like buying a second job or potentially a money pit. A lot of people underestimate what it will cost to renovate because most of the time, there are a lot more things wrong with the home aside from what the eye can see. Sometimes it's best to leave it to investors or home builders. Tampa Bay's Real Estate Expert talks about Undisclosed Repairs and Defects and What It Could Mean to Your Home Sale. Andrew Duncan, Tampa Bay's #1 Realtor and Expert, talks about undisclosed repairs and defects and what this could mean to your home sale. He has Richard Vazquez from Artisan Insurance and Arnie and David Diaz from Waterstone Mortgage as guests on The Duncan Duo Real Estate Show on 970 WFLA. A lot of people forget how integrated all the processes are. The insurance company cares about the inspections and repairs, the Real Estate broker needs to know what's going on so he can disclose any material defects, the mortgage lender does an appraisal on the property and will look for any kind of issues. On the insurance side, undisclosed material defects like sink holes can cause major problems in getting insurance coverage. An insurance agent looks at the property a little bit differently than a mortgage company looks at it and from the way a realtor looks at it. Some of the things they find all the time are undisclosed sink holes. They have a way of knowing when the air conditioner was replaced, when the roof was replaced, if there was any major electrical work done, etc. These are part of the seller's disclosure statement when those things are replaced but there are people who don't do it that's why the insurance agent is going to double check the information. He then talks to the Diaz Duo about the condition of a home. Although lenders don't really care about the home inspection. They need to have an appraisal done so the appraiser is going to come out and double check the condition and age of all these things to find out if anything is past its useful life. Arnie advised buyers (as Andrew has mentioned in previous shows) to not necessarily give up on a home because the inspection has a couple of things on it. You may take a lot longer to find something you really want for a couple of items that could be handled very easily. He suggests the easiest way is to go back to the seller and as long as the appraised value is there, you can raise the value to the amount and have the seller pay for the repairs. He also mentions the Escrow Holdback program they offer wherein you can close on the home and have the repairs done after the closing. It means that any repairs can be lumped in the purchase price and if you already know ahead of time, the appraised value can be adjusted accordingly for repairs that are going to be done post closing. Another option Arnie suggests but could take longer and not everybody would like to do it are renovation loans they offer if you have a lot of things needed to be done. Lastly, he suggests it's also possible for sellers to cash out refinance, get some renovations done before putting the home on the market. Andrew Duncan, Tampa Bay's #1 Realtor and Expert, talks about the local Tampa Bay Real Estate market and some of the statistics on The Duncan Duo Real Estate Show on 970 WFLA. He talks about the local Tampa Bay Real Estate market and some of the statistics from the Greater Tampa Association of Realtors' article on the Tampa Bay Times that talked about how March was the best real estate month we have seen in nearly a decade with the number of home sales, prices and inventory. Andrew compares the statistics now to previous years to have a really good understanding of how the market has changed through the years. There were 2,688 home sales in March 2015 which is the most number of home sales in nearly a decade. 2,022 sales in 2014, 2,277 in 2013 and 1,974 in 2012. There was a 20-40% bump over the last few years. 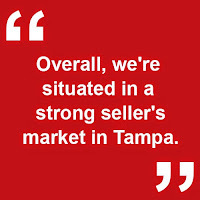 The average sale price in Tampa Bay was $210,054 which is not an astronomical higher number compared to prior months. In March, it was only 193,000 but it hovered between 210,000 and 212,000 mid year last year and at the end of last year. 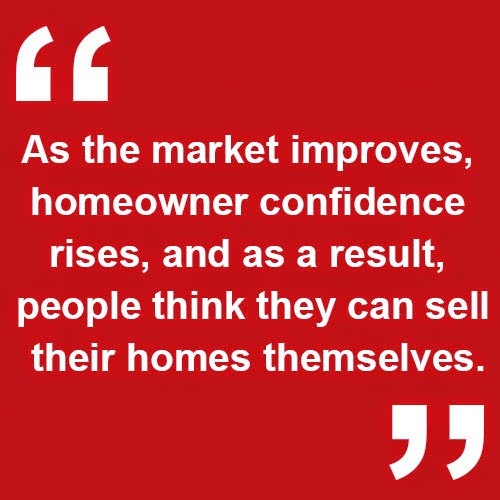 Prices hasn't risen dramatically within the past year, just a lot more sales. The months of inventory is a crutial indicator for you to know whether there are more homes on the market in a price range and area you're looking to buy. The fewer homes on the market, the more competitive it is - prices can be driven up, there could be bidding wars, and not as many options to pick from. Andrew shares that when he started out with the radio show, he had almost 20 months of inventory, now it's at 3.2. Although the market is heading to a lot of good directions, there are challenges with not having enough inventory - buyers miss out to investors, buyers not being able to find what they want, buyers settling, missing out or losing on offers because there aren't as many opportunities. They go on to talk how today is a seller's market. Sellers have more advantage right now because the inventory is low. The buyers will tend to offer closer to the asking price, agree to terms given by the seller and they have to compete with other buyers, too. Today, we want to discuss a topic that's on everyone's minds in Tampa: multiple offers! How do you deal with them? Is there a catchall strategy to help you get the most out of them? 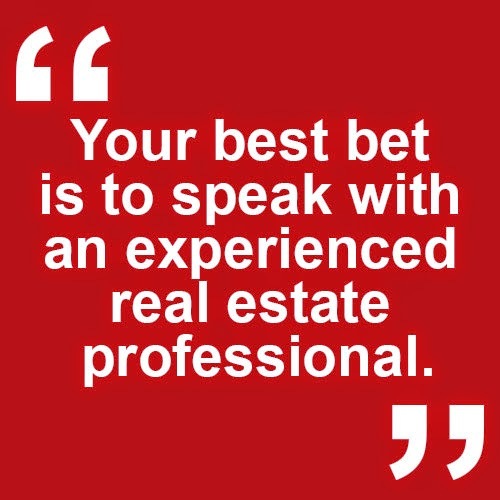 As a home seller, it's important to hire a real estate expert to guide you through a multiple offer situation. 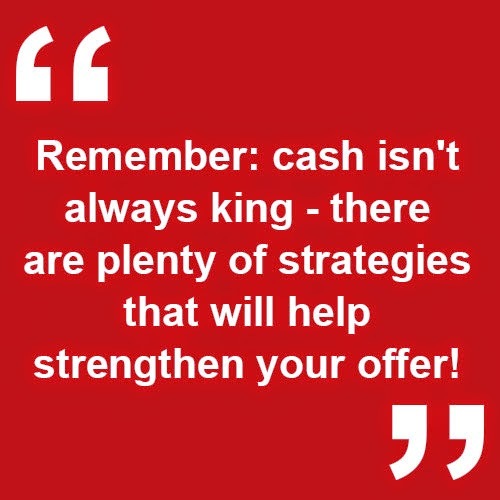 There are a lot of agents getting into the business who are inexperienced negotiators and are only interested in cashing a commission check. Make sure you work with someone who will focus, work hard for your interests, and get you every penny they can. However, you do need to be patient when you're receiving offers; accepting an offer too soon could cost you. As a buyer, you need to work with an agent to craft an offer that will stand out to the seller. Improving your terms or your price are just a few of the ways you can do this. Sending a personal letter to the homeowner is another strategy we're fond of, as it sparks a bond between you and the seller that will affect their final decision. 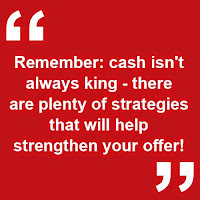 Remember: cash isn't always king - there are plenty of strategies that will help strengthen your offer! If you have any questions about multiple offer situations, or if you need real estate assistance of any kind, give the Duncan Duo a call. We would love to hear from you! Also, we're very excited to announce the Duncan Duo is now the official partner of the Tampa Bay Lightning! You can learn more about our partnership by clicking here! Today I'm going to be updating you on what's happening with real estate in Tampa Bay. I feel the need to do this because just the other day I saw a report from Zillow stating that there is a buyer's market in Tampa, and this could not be further from the truth (Zillow's information is notoriously inaccurate). 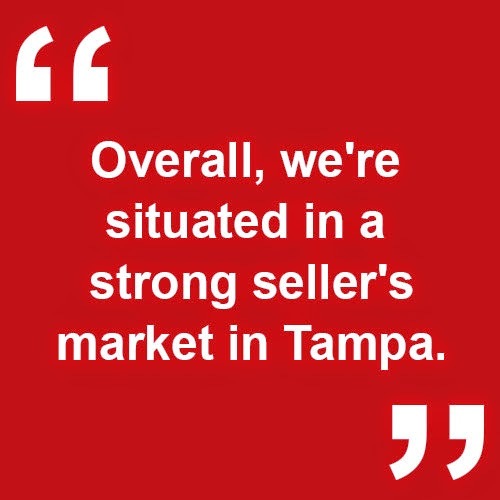 Of course, there might be a few neighborhoods where buyers have the advantage, but overall, we're situated in a strong seller's market in Tampa. We're averaging just a little over 3 months of inventory, sale prices are hovering around $220,000, and homes are taking a few months to sell. We're seeing a lot of job growth in Tampa and also quite a bit of growth in our downtown area. I expect that this will bring a lot of growth and positive change in our market. However, it's important to keep in mind that not every neighborhood in Tampa will benefit from this growth. However, we expect home prices to rise in our area, so if you're looking to sell and move up into a bigger home, then now would be a great time for that. Interest rates are still extremely low, but this may not be the case for very long. If you buy now, you have the chance to save thousands of dollars over the lifetime of a loan. 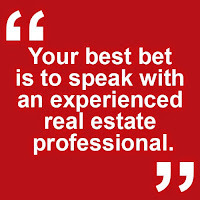 If you're thinking of buying or selling in the Tampa Bay area, please don't hesitate to contact me. I'm always happy to serve you! Andrew Duncan, Tampa Bay's #1 Realtor and Expert, talks to Linda Saavedra of Showhomes and Arnie and David Diaz from Waterstone Mortgage about the reasons why home sellers choose not to have their homes staged on The Duncan Duo Real Estate Show on 970 WFLA. Arnie starts off by asking what the common objections they get from home sellers why they don't want to have their home staged. Linda explains that people think that it's a cost without a return of investment but she further adds that staging actually has the highest ROI next to cleaning and decluttering. Another reason is because people are generally emotionally attached to their home and their stuff. They don't see what buyers see. Andrew shares a personal experience he had with a client from 2 years ago. He recommended to have their home staged by Showhomes but they chose to do it themselves but they ended up working with another staging company. When he came to the reveal, he saw the big 6-foot tall statue of Rocky Balboa in the living area! It just didn't fit. It's a perfect example of how these things could take away the attention of buyers from the home. Instead of the buyer paying attention to the home and see the Wow factor, their attention will be focused on the seller's things. People have an attachment to their stuff and think that other people would also be interested in them when in reality, they are NOT buying the stuff inside the house...they are buying the house. The home should appeal to the masses. It's important to depersonalize and make it feel like a model home. Andrew recommends to have your home staged. It will not be a waste of money. 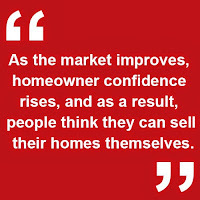 In fact, it will help them do a better job and get your home sold fast and for top dollar!